The Swing Around is a flat ride. It is fast, fun, rerideable, it has a large capacity, and a long duration. Great flat ride thats far better than Dorneys. This one had an excellent location and the cars come very close to the many trees around the ride. 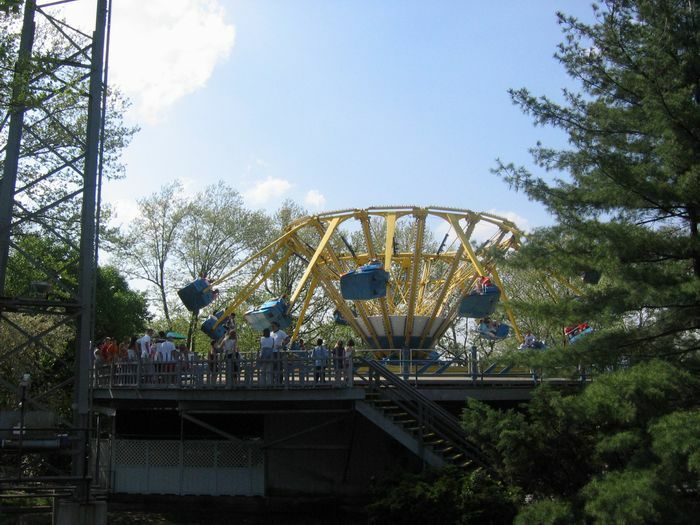 Kennywood ran this pretty quickly and the swinging was fun as usual. Also, it had a long cycle. 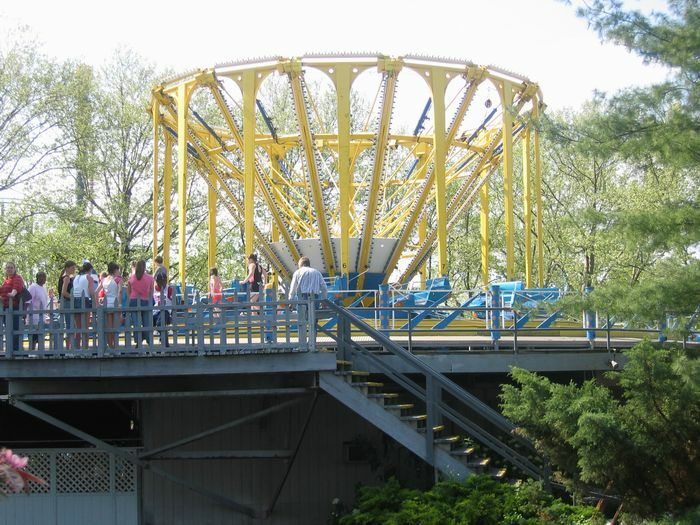 i used to LOVE this ride. I havent ridden it in years, now its gone. Maybe when it comes back ill start to ride it again. But it wont be the same cause i dont think its gonna be put back on the stage. Oh well. It should still be fun. a fun ride with a great location atop the Garden Theater 15 feet in the air. A great use of space. Compressed air swings your car out and up as you spin in a clockwise direction. They run in for a long cycle and by being situation atop the building the cars launch up to the top of the tree line. Its a nice spinning ride, but it just doesnt compare to the new high octane rides that are out there. I really think this ride is a ten, but personally, Im also on a rampage to get the kiddie rides from the top!! Come on people, lets rate like the rest--Thrill, fun, speed, design. Classics are great, but this is 2004 last I checked. Great fun flat ride! I havent seen many of these, and this one gains some points in my book for how it sits up on top of the lagoon. Kinda makes you dizzy when its over, which is a good thing!! 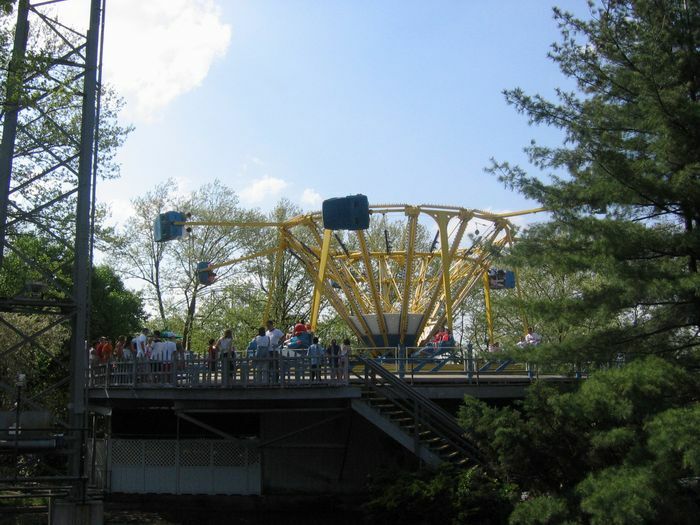 Fun flat ride, the same thing as Dorney Parks Appollo 2000, but this one kinda sits on top of a platform with a stream running around it, so it get bonus points for placement. The ride spins around and the cars swing up and down, and early version of the Downdraft.